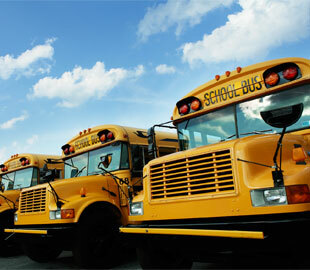 If you need bus leasing and rental in Maine, National Bus Sales is here to help you out. 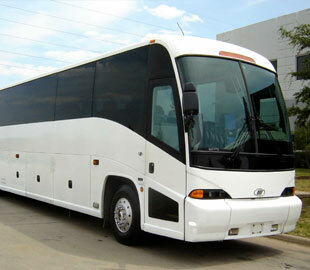 We have vehicles that accommodate up to 84 passengers, so you can bring the whole team with you in a rental bus. We offer models with A/C, lifts, audio/video connections, reclining seats, and more, and we can work with most special requests. Let us know what you need, and we will find a way to get a bus for you. There is a reason why we've been in business for more than 20 years. National Bus Sales offers the best bus leasing and rental options in the country, period! We have buses from some of the biggest names in the industry, like Starcraft, Federal Coach and Glaval. We offer monthly and yearly bus rental and lease contracts for Maine, giving you the flexibility you need to get the perfect bus at the perfect time. Once you see our selection, you'll know this is the right place for your bus renting needs. At National Bus Sales, we can set up TRAC leases, operating leases, lease purchase agreements, and much more. All of our bus rental and leasing contracts must carry a $2 million liability insurance policy, which we can help you secure if you do not have it at this time. We also ask that you have a properly licensed driver available to operate the vehicle after we deliver it to you. We will require a security deposit for your lease or rental agreement as a way to reserve the vehicle in your name. After that, we can work out a payment plan that works for you. 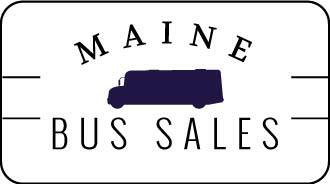 We also offer bus financing for Maine if you'd rather buy one of the buses on our lot. Fill out a credit application on our website, and one of our customer service representatives will reach out to you regarding your loan. You might be surprised by the number of options you have. Contact National Bus Sales today @ 800.475.1439 to see how you can get a rental bus in Maine.